We offer the latest cosmetic dental teeth whitening system. We are currently using PolaOffice+ whitening by SDI. We have chosen this system over others is because this is proven to be the most effective, longer lasting and affordable whitening system for our patients. 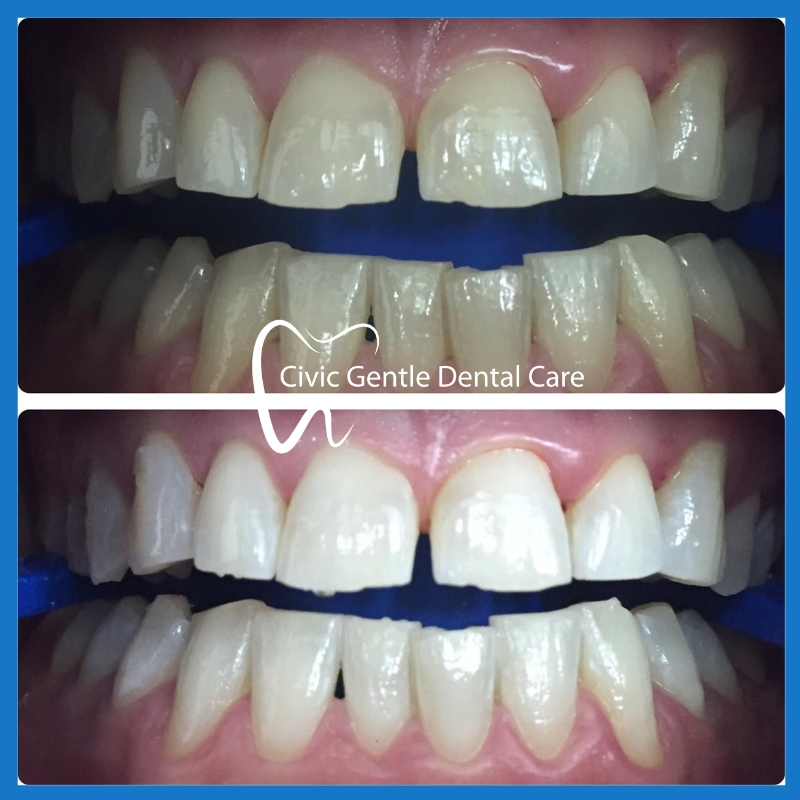 The in chair teeth whitening improve the whiteness of your teeth immediately, but some patients choose to maximise and maintain the results by following up with our take home whitening gel, at ONLY additional $100 (if done with the in chair). Driving directions from Old Parliament House to Civic Gentle Dental Care takes about 9 minutes. Head northeast on Parliament Square and turn left onto King George Terrace then continue onto Langton Cres. Turn right toward Commonwealth Ave/A23 and another right onto it. At Vernon Cir, take the 1st exit onto Northbourne Ave/A23 then go right onto London Circuit where you will be able to locate our dental clinic on the left side.